Disclaimer: I own shares of DVAX. Update 2018.11.30: I was wrong with the speculation. AZD1419 Ph2a trial did not meet primary endpoint. FierceBiotech news. Today I would like to speculate on the on-going Phase IIa trial of AZD1419. It will likely be a success. I have previously written a blog post about the unique MOA and delivery route of AZD1419. 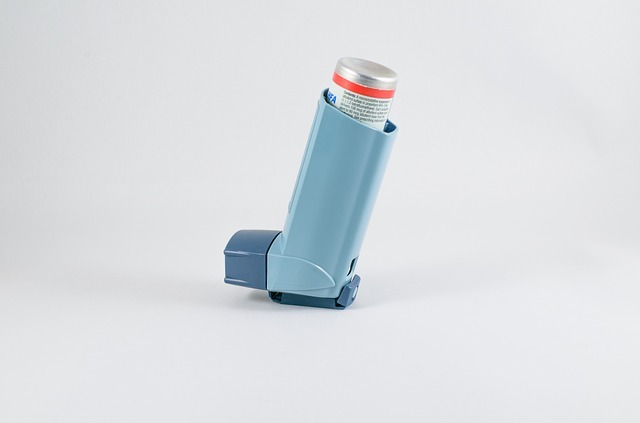 Unlike existing steroid, β adrenoceptor agonists or immunosuppressant drugs, AZD1419 is the first true immunomodulatory drug candidate for asthma. Lots of immunosuppressant drugs that block the asthma cascade are often called immunomodulatory. But they simply suppress the signaling or cytokine cascade after symptoms start. They don’t really modulate or rebalance the lung immune system to prevent asthma from happening again. This is what AZD1419 (via CpG-TLR9 pathway) is designed to do: AZD1419 is designed to be a cure, not a drug that patients have to take for entire life. Read more at my post and AstraZeneca webpage. This human trial has a withdrawal design. Patients were withdrawn from LABA after 7 weeks, then ICS to be on AZD1419 monotherapy, then completely drug free for follow-up till up to 52 weeks. Note: he misunderstood the trial design detail. There is no drug at all after 13 weeks. Again, AZD1419 is designed to be a cure. In July they moved completion date from 28 to 24th, it is because someone who was supposed to finish 52 week by 28th met the endpoint of loss of control and left the trial. This patient was the very last randomized recruitment in late September 2017. He/she could be a placebo or AZD1419. He might have a couple of months (up to 6 months) asthma control. More important, this also means someone who supposed to finish on 24th are still going strong without loss of control, at least in July. That is half a year after last dose of AZD1419. The closer we get to Sep 24th, the longer lasting AZD1419 works, and the larger potion of patients don’t even meet the endpoints at all. What is “moderate to severe” asthma? What does scientific literature say? Then I looked into biomedical literature to find out how long does it take for “moderate to severe” asthma patients to lose control? AZD1419 2018 moderate to severe (100% w. LABA) 39 week ?? ?? The last one, Sneeboer et al. 2015, paper is closest to AZD1419 trial in patients cohort, and still not every one uses LABA. LABA usage is required for AZD1419 trial. Nonetheless, in Sneeboer trial, 96% (22/23) of patients lost asthma control in 8 weeks with 22 days median time to loss of control. In Sneeboer trial, 96% (22/23) of patients lost asthma control in 8 weeks with 22 days median time to loss of control. What can we infer for AZD1419 trial? I will conclude that with a cohort of all LABA patients, the placebo arm will all lose asthma control within 8 weeks, which is by February 28, 2018. According to ClinicalTrials.gov records, AstraZeneca submitted two trial updates in 2018: 3/28/2018 and 7/5/2018. We are now at 8/15/2018, the trial is still ongoing. If AZD1419 has no effect, the trial should have ended by March update. The trial is still ongoing and worth the money spent to keep it going by at least 7/5/2018. It suggests that a significant portion of patients are still going strong without loss of asthma control. And they cannot be placebo patients. Another interesting thing in this speculation is the 4 day move of primary completion dates at 7/5/2018 ClinicalTrials.gov update. This trial enrolled about 170 patients (81 in active arm). Consider ramping up, I estimate in the end of enrollment around September 2017, they could have enrolled 14-28 patients per month, about 1-2 days per patient. Moving from 9/28 to 9/24 (4 days) suggests 1-4 (out of last 2-5) patients could have lost control at 7/5/2018 update. It also suggests 20-50% AZD1419 patients are still going strong at 7/5/2018, which is about 26 weeks therapy free. Of course, the 4-day change may be just because of some administrative reasons. Nonetheless, the trial is still going. Some patients have not loss asthma control. Let’s wait and see. And the longer we wait, the better the results. In short, fairvalueforyou and I expect positive results from AZD1419. Specifically, I expect 20-50% patients stay controlled and therapy free beyond 26 weeks after withdrawal in the active arm, while all placebo lose control within 8 weeks after withdrawal. There is potentially a group of patients stay controlled the entire 39 weeks of follow-up, which suggests a remission for moderate to severe asthma. Let us wish Nobel prize-winning CpG-TLR9 pathway bring a better therapy for Asthma patients! Happy speculating!